The Numerik has no front-panel controls or displays; the usual indicator lights (sampling rate, lock, etc.) are instead found on the rear panel. Although the Numerik has two digital inputs, no input selector switch is provided. 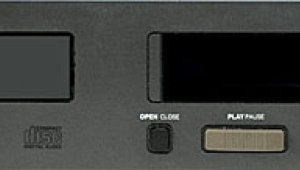 Here's how it works: With the Karik connected to input #1, turning off its digital output from the front panel causes the Numerik to default to input #2. The Karik's digital mute switch thus functions as the Numerik's input selector. This unusual feature permits operation of the Numerik in an inaccessible location. Neat. Sampling-rate selection (44.1kHz or 48kHz) is automatic. Although the Karik does have an optical output—this has a 20Mbs bandwidth cf the Toslink's 6Mbs—the Numerik has only BNC coaxial inputs. 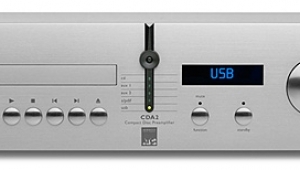 The analog output appears on two pairs of RCA jacks. 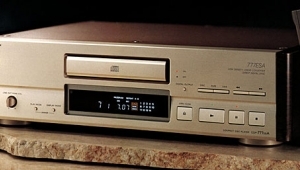 One look at the rear panels and it's obvious that the Linn Karik/Numerik is unlike other CD players; the Karik's rear panel holds a 9-pin "D" connector marked "diagnostic output," and each BNC input/output is accompanied by an RCA jack marked "CD Sync Input" (or "Output"). Interesting. Let's start with the diagnostic output. 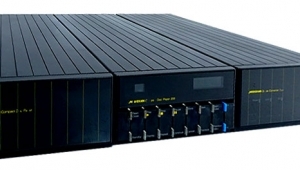 This port connects to an IBM-compatible PC running Linn software. 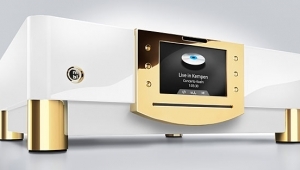 An owner can periodically have his Karik checked by Linn dealers who have the computer and software. Among the information available on this port are error rates (broken down into specific error syndromes identifying the number of missing or erroneous symbols and in which decoder stage), the servo control voltage needed to maintain a specified laser power, and the tracking servo signal. This information allows the retailer to know if the player is performing optimally and when the laser is about to quit. 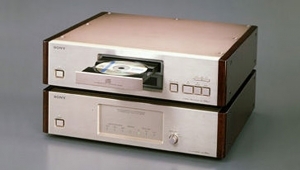 Lasers in CD players have a finite life, typically about 1000 hours. 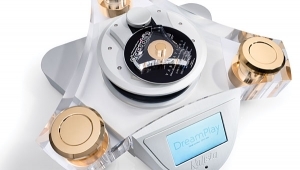 Unlike most CD players and transports, changing the laser is relatively easy in the Karik. More on this later. 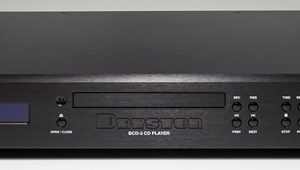 But what about this "CD Sync Output"? 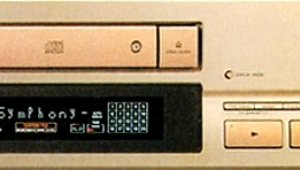 An RCA cable connects the Numerik's CD Sync Output to the Karik's CD Sync Input, forcing the transport to lock to the processor's clock. 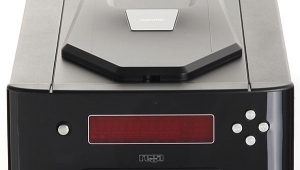 With the exception of the Sony CDP-R1/DAS-R1 reviewed in Vol.11 No.12, the Karik/Numerik is the first consumer product to use this technique. 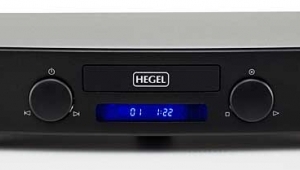 Instead of recovering the clock signal from the transport's S/PDIF output, the Numerik serves as the master clock. The accompanying Sidebar has a complete description of this unusual feature. The Karik transport represents a "ground-up" engineering effort. Rather than buy off-the-shelf mechanisms with their inherent mass-scale cost compromises, Linn started with a clean sheet of paper and rethought what a transport mechanism should do. 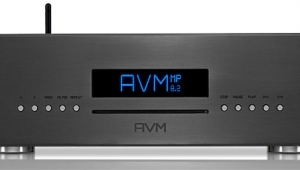 The entire mechanism was designed and built by Linn in Scotland. It is unusual in many ways, including the method of clamping the disc from the top. Interestingly, one of the few other mechanisms built from scratch (the Esoteric P-2) also uses top clamping, as does the popular Soloist Audio modification. The transport features four motors and a very solid build quality. 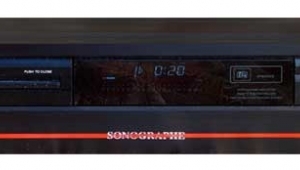 Servo control is handled by a Hitachi chip; EFM decoding, error correction, and digital audio formatting are performed by a new Sony surface-mount IC. This is the first time I've seen this Sony chip; it reportedly has more powerful error correction than its predecessors. The Karik's power supply uses nearly the same components as the Kairn, but with different regulation stages. Each motor driver and the VCO supply is independently regulated. 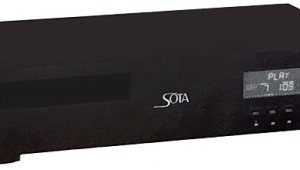 Every power-supply rail of every stage is buffered with an emitter follower to increase supply isolation. Smoothing is provided primarily by two 33,000µF and one 22,000µF caps, and three-pin TO-220 chips regulate each supply stage. There are a couple of nice tricks inside the Karik. 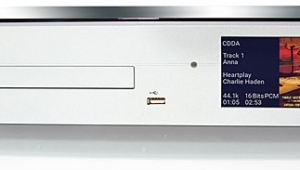 CD players typically have a ribbon cable to the laser assembly, carrying focus and tracking servos as well as the HF signal retrieved from the disc. To avoid potential degradation of the HF signal by the servos, the Karik has a separate shielded coaxial conductor for the HF signal coming off the disc, away from the servo-conducting ribbon cable. When you see touches like that, you know the designers have done their homework and left no detail to chance. The transport was designed to be serviced in the field. 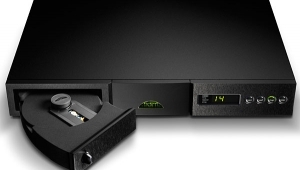 One of Linn's goals was to build a player that could be maintained for several decades rather than thrown away when it wore out. The entire transport mechanism can be replaced in less than 30 minutes, usually by a dealer. After installing the new mechanism the dealer can verify optimum performance by looking at the Karik's diagnostic port output. Overall, I was impressed by the amount of design effort in the Karik. The decision to build a mechanism from scratch, its serviceability, diagnostic port, and careful design touches reflect a well-thought-out machine. The only complaint I had, reportedly corrected on later production, was that the disc drawer didn't quite close all the way.